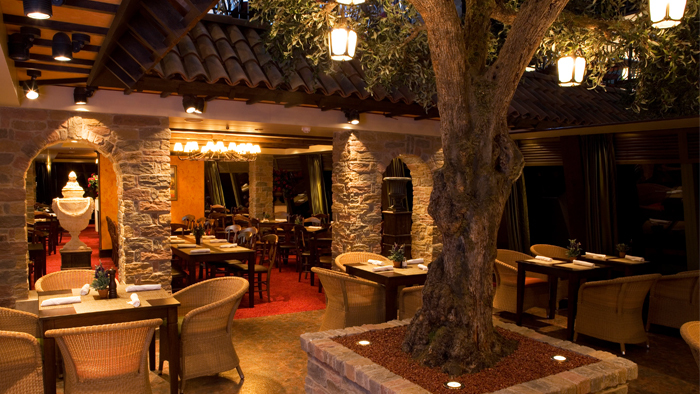 Walking through the wooden double doors of Casa Bella, the senses are assaulted with the smells of fine cuisine and spices. From every direction comes the scent of garlic or oregano, the aroma of finely crafted dishes filling the air. The walls are pale stucco, the floor tiles heavy ceramic woven through with patterns of green leaves and ivy. In those areas where the floor is not tiled, its covered in a warm blood orange carpet that manages to give color and flair to the room without being garish or overbearing. The tables are a light oak which complements the decor, and the chairs are either a creamy wicker that match the stucco or traditional wood with dark padding. Throughout the establishment are green plants and hanging white lights. Large potters in various spots hold trees from which dangle lantern lamps. The restaurant gives a feeling of both openness and intimacy, which encourages the enjoyment of dining and fosters a comfortable, family mood of relaxation. June 9, 2012: After a horrible date, Siobhan and Jenna enjoy a nice lunch. And make plans for the evening.